It’s astonishing to me that an estimated 360,000 people die from drowning each year worldwide. According to the Centers for Disease Control and Prevention, drowning is the leading cause of unintentional-injury related death among children between ages 1 and 4. It is also the number 2 cause in children from 5-14. What is even more crazy to me is that nearly 70% of those deaths are preventable. More than 50 percent of drowning victims treated in emergency room departments require hospitalization or further care. These nonfatal drowning injuries can cause severe brain injury resulting in long-term or permanent disabilities. This issue is truly a matter of life and death for children and is preventable. I am so thrilled to be sharing with you about the Childhood Drowning Prevention Forum. You will want to save the date! Nadyne Siegel-Brown, CEO of SwimKids of Georgia and founder of the non-profit J.A.C.O.B. (Just A Couple Of Bubbles), who has passionately taught infant aquatic survival for 32 years. The J.A.C.O.B. Foundation provides survival swim lessons for underprivileged kids. Nicole Hughes, Founder of the nonprofit Water Guardians: Levi’s Legacy. 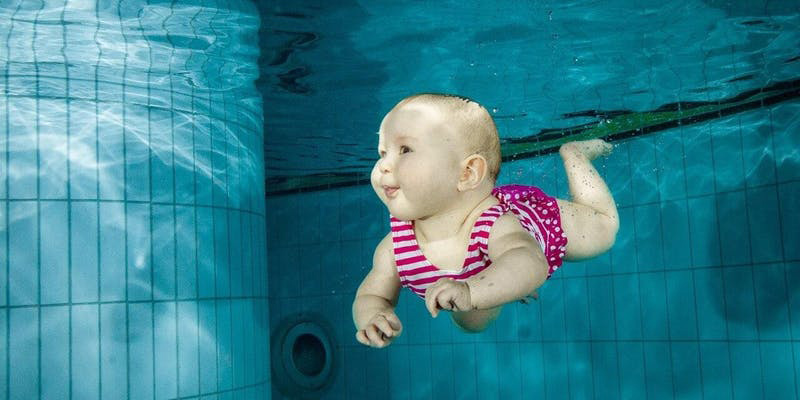 Water Guardians promote the need for water safety and the development of infant swim survival skills. Sadly, Nicole’s support of this important effort was a result of the loss her 3-year old son Levi to drowning on June 10, 2018, while on a family vacation. Levi’s accident occurred on the same day that former world cup alpine ski racer Bode Miller and his wife Morgan lost their 19-month-old daughter Emmy. Since the accidents, Nicole and the Millers have been working with the American Academy of Pediatrics at a National level to create more attention on this extremely important topic. Childhood Drowning Prevention Forum: This community event will feature guest speakers and subject matter experts including Nicole Hughes, Diedre Rowe, MD Pediatric at a major local children’s hospital, and a First Responder, from Forsyth Fire and Rescue. All will share their insights on the need to raise awareness around drowning prevention and measures that may be taken to protect your children. The panel of subject matter experts will present recommendations and insights for drowning prevention and layers of protection recommended by the American Academy of Pediatrics. In addition to the panel discussion from 1-2 pm there will be kids’ activities from 12-3 pm that will include, face painting, jumping tent, kids Pilates, local fire trucks and food trucks. SwimKids of Georgia will be raffling free survival swim lessons for those who sign up at the conference. We hope to see you there! Don’t forget to reserve your spot. And again, it is a free but very informative community event. SwimKids of Georgia, with over 30 years of child survival swim experience and close to 10,000 children taught, offers unparalleled knowledge, experience and success. Do you have a video of your CHILDHOOD DROWNING PREVENTION FORUM to share?